Presentation of the Company « Container Equipement et Arrimage » (Container Equipments and lashing) named CEA, certified ISO 9001 since 1998. Since 1974, our company has been specialized in the field of the cargoes protection during the transport and in the equipments for the containerisation. 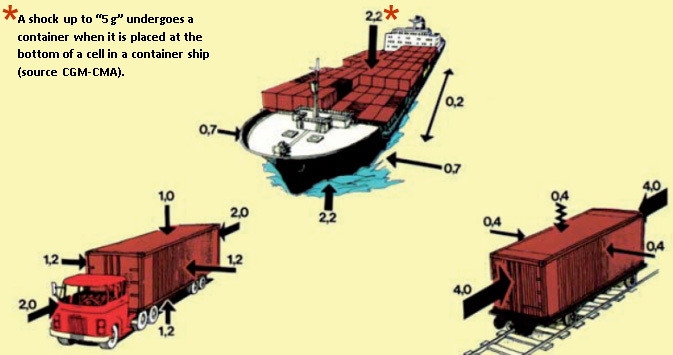 See hereafter the risks that your shipment face. These examples show you the acceleration forces “g” in action during the different transports: on trucks, on rail wagons and by sea. This is the real weight you must secure! More than 40 years experience will always make the difference.